Great question, Ray. All storage auction buyers should be prepared and ready to protect themselves as regards proper licensing of any firearms they may take possession of in the course of buying up delinquent units. Does the obligation fall solely to the buyer? To the storage facility? Does the buyer actually have any obligation to declare the shotgun at all? Our attorney recommended that the buyer immediately contact their local law enforcement agency in order to determine exactly their obligation so far as licensing goes. Now, this is good advice considering the fact that laws pertaining to the legal registration and operation of firearms can vary wildly from state to state. If you want to walk the path of caution it would be worthwhile to do this, rather than run the risk of fines and possible imprisonment should you ever be caught for any reason with a firearm not legally registered to you! However, a quick phone call to Trooper Edwards revealed a slightly different story, at least as pertains to Maryland’s firearms registration laws. Trooper Edwards was kind enough to inform me that there are two classes of firearms, so far as the state is concerned. One is regulated, and this category includes compact firearms like handguns, and specialty semi-auto shotguns used by assault teams and the military. These regulated firearms require their new owners to voluntarily register them with their local police department’s firearms licensing division. Failing to do so puts the new owner at risk for all applicable fines or possible incarceration associated with having an improperly registered regulated weapon. The second category of weapons, being “un-regulated” is of far less concern to the state. 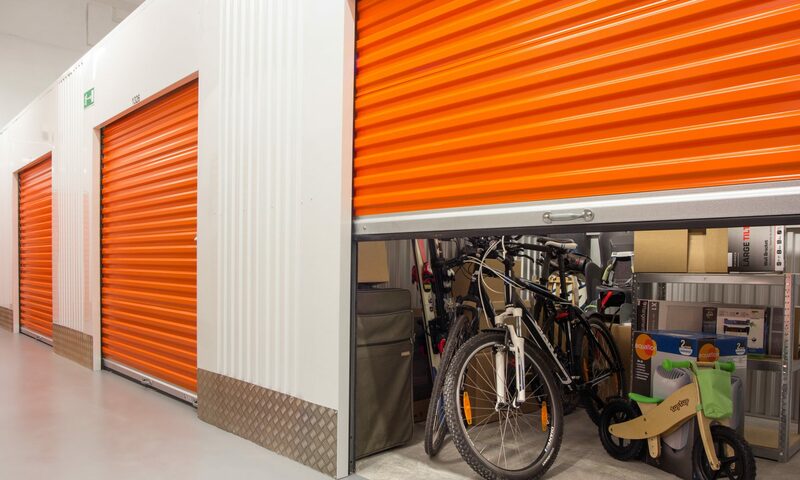 This means the new owner of said storage unit, which only includes a regular pump-action shotgun, can simply take possession of the gun as they would any other normal item inside the locker they won. This is why the state trooper actually asked me what kind of shotgun was found. He said that only a few types of relatively rare shotguns qualify as regulated weapons requiring voluntary registration, at least within Maryland. For example, anyone could buy an X26 taser, so if you were to find one of them in a unit you won, you’d be perfectly within your rights to take it home. Bottom line: For those of you that find weapons in a storage locker you win, you should exercise caution and contact your local police department, especially if they are compact, such as any kind of handgun, or assault-style weapons. If you happen to find a simple pump action shotgun or trusty old hunting rifle, depending on the laws of your state, you might be able to simply load it into your vehicle and drive away. As an interesting addendum, the trooper did also mention that in many cases a property manager would become involved in the process should he or she happen to know that the person taking possession of the storage locker had any criminal history that would normally preclude them from buying a weapon themselves. Should this ever occur on your property, you should contact your local police immediately and inform them of the situation. Otherwise, so long as everyone present and aware of the buying process has a “common knowledge” that the person should be legally able to possess a firearm, you can allow them to load up their winnings unimpeded. Can I sell my weapon, and if so, how? So we now know the process by which you make certain that you can drive away with your weapon. But are you allowed to sell it? And to whom? These questions should, again, be answered on a state-level as laws pertaining to the purchase of firearms can change from state to state. However, the typical guidelines are: the buyer must be over 18 years of age and must have no felony convictions. How are you going to know if they have any felonies? To play it safe, you should sell it to a Federal Firearms Licensee (FFL), usually a gun shop. This is especially true if the gun may cross state lines. Another option is the online route. You could plug into Google ‘firearms sales online’. One site that I came across was called www.FirearmsLocator.com. This is just a reference as I have never gone through the site myself. Bottom line: Leave the worrying about state laws and the legality of selling to such and such a buyer to the people in that business. Great question, keep them coming, folks! Previous PostPrevious What Separates Newbies From Storage Auction Experts?